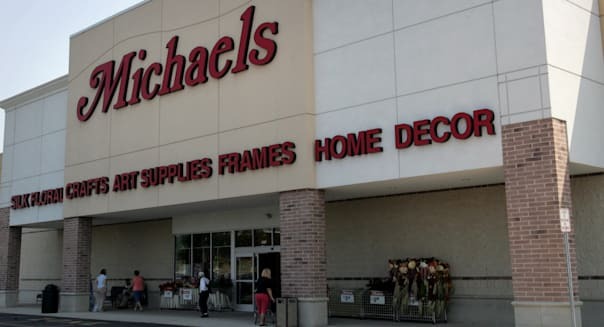 The federal government is suing Michaels Stores Inc. (MIK), accusing the largest crafts retailer in the nation of ignoring safety laws and knowingly selling vases that had been shattering in consumers' hands. The U.S. Department of Justice and the Consumer Product Safety Commission filed the lawsuit on Tuesday. It is unusual for the CPSC, the nation's product safety police, to file a lawsuit against a company. The nation's product safety system is built on companies self-reporting and, when that fails, it is typical for a protracted negotiation to result in a settlement. The recall this lawsuit is based on happened in September 2010. "Michaels allegedly failed to report critical information about the safety of one of its products," Principal Deputy Assistant Attorney General Benjamin C. Mizer said in a statement. "The Department of Justice will continue to protect the public against companies that put profits over safety." A Michaels spokesperson did not immediately reply to a request to comment on the lawsuit. Michaels sold more than 200,000 of the vases even after getting reports from its customers that they were shattering in their hands -- leading at least nine people to suffer severe cuts. Some needed stitches, suffered permanent nerve damage and had severed tendons, the CPSC said. Under federal law, companies are obligated to immediately report to the government upon becoming aware of a product defect or safety issue that could result in a serious injury. Michaels waited more than two years, the government alleges, and also purposely misled investigators by conveying "the false impression that Michaels did not import the vases." Michaels, the government alleges, was trying to avoid incurring the expense of a recall. "We believe that Michaels chose to profit from selling defective vases that put people at risk, instead of following the law and immediately reporting that their vases were shattering and causing great harm to consumers," CPSC Chairman Elliot F. Kaye said in a statement. "To protect the public, companies are required to report potential product hazards and risks to CPSC on a timely basis. That means within 24 hours, not more than a year as in Michaels' case." The 20-inch-tall square glass vases were imported from China by the Gerson Company. Michael's sold the vases for about $15 between July 2006 and March 2010.